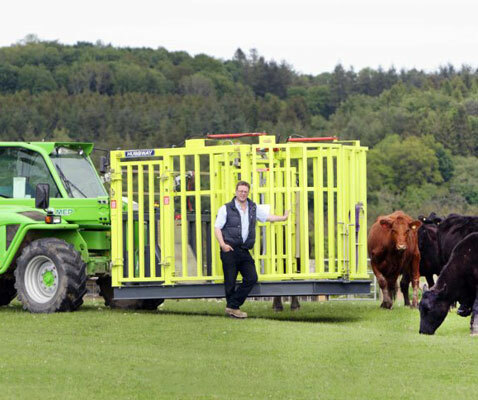 The gecko CC1 is mobile cattle pen that can transport cattle to any location inside or out side. 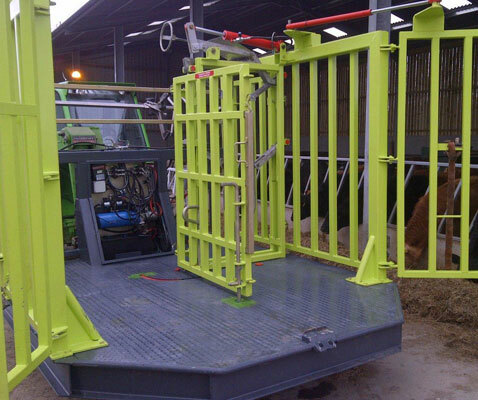 The gecko cc1 was primarily designed for the handling and transportation of cows and calves both in the shed environment and out in the field , during the calving season . 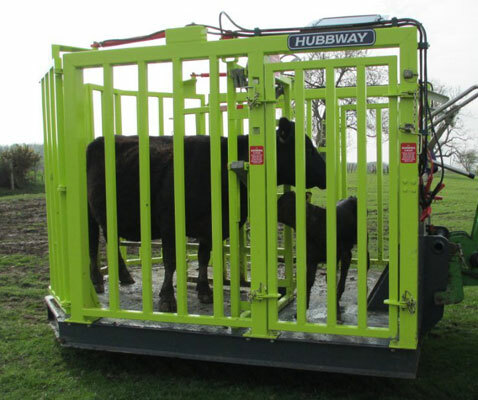 The gecko CC1 has evolved for handling cattle of all sizes and ages. It was also designed to be used by one operator. Here are some of the operations that the gecko CC1 can carry out. The list is endless – If you have cattle – you need a Gecko! 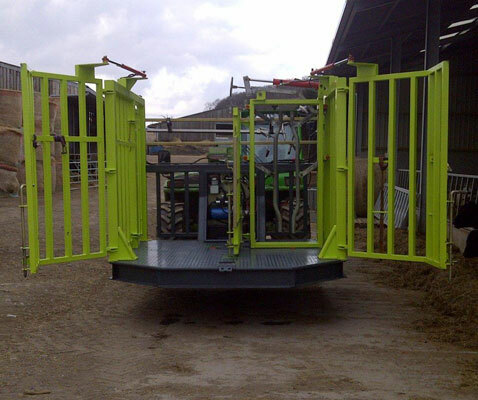 It allows one man to handle and transport cattle at the turn of a key ,the pull of a lever and the press of a button. The gecko CC1 is operational within seconds. 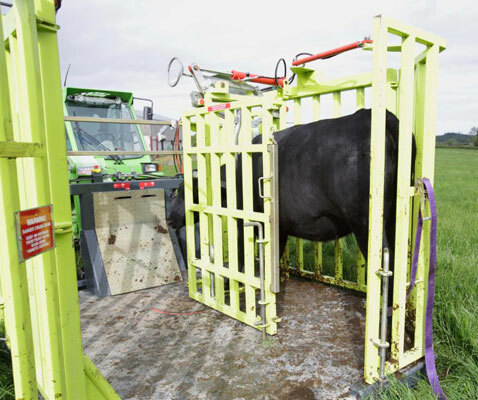 It makes handling cattle safe – it takes the stress and physicality out of handling and moving animals to both man and beast. The Gecko CC1 provides a safe and secure working environment from start to finish. 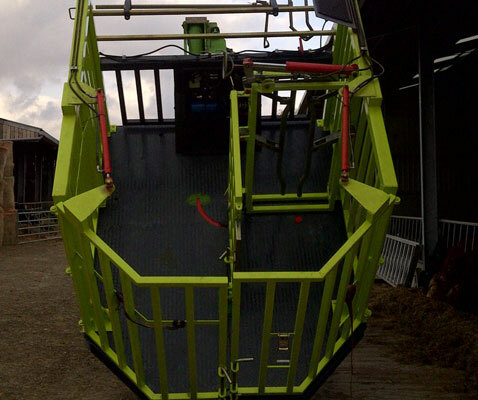 The Gecko CC1 was designed and developed by Nick Hubb while working on the family mixed farm in Northumberland. Like many livestock farmers today, staff and man-power are in short supply and routine evening checks on spring calving cows inevitably led to a major struggle to deal with even the simplest of issues, or an emergency call to friends and family (often at un-godly hours!) to come and lend a hand. 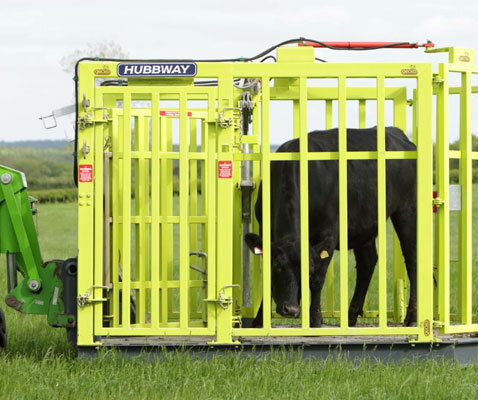 The family’s vast experience in industrial machinery hire (Hubbway Hire, one of the largest machinery hire companies in the north east, was founded by George, Nick’s father in 1965) allowed Nick to begin to develop a prototype of a portable handling system which would allow the safe handling of cattle by just one person. After over 2 years of development and testing, the Gecko CC1 is the result, designed and built in the UK at the Gecko headquarters in Northumberland. 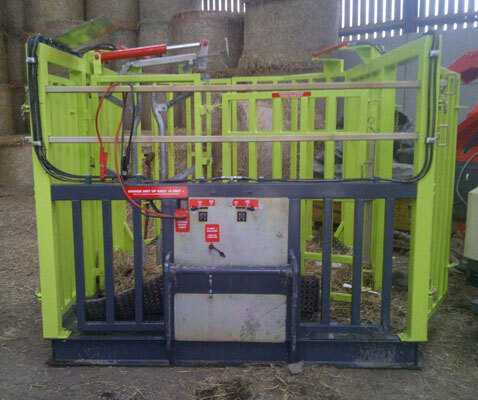 Simply and securely mounted to the front of a farm loader or tractor (brackets available for all major makes) the Gecko CC1 can be located exactly where it is needed both inside sheds and outside in the field. 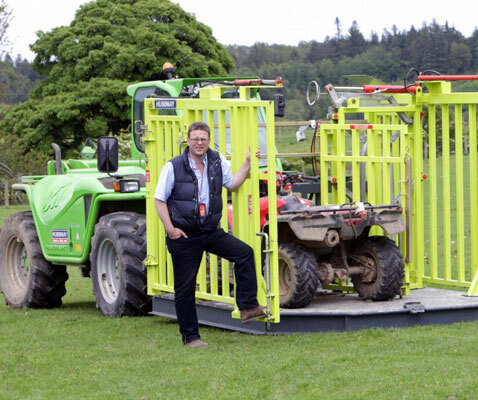 Designed to work in a real farm environment, we have ensured that simple ideas such as the ability to accommodate a quad for transport to an outside site to aid with rounding up are not overlooked. Designed By farmers For farmers! The Gecko CC1 provides a safe and secure environment for both man and beast! Working with cattle can be a dangerous business, especially if you do not have the luxury of a large gang of people to assist. 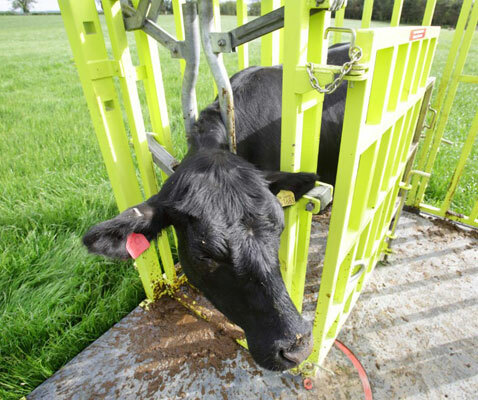 The UK Health and Safety Executive point out that it is a legal requirement for anyone handling livestock to asses and control the risks involved in handling livestock. 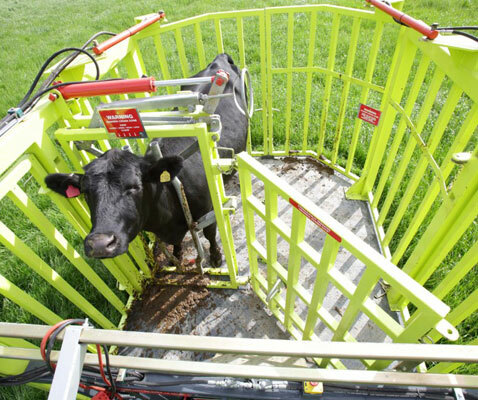 The Gecko CC1 system provides the ideal solution – enabling you to reduce the risks which inevitably come with working with livestock, even when man power is limited. 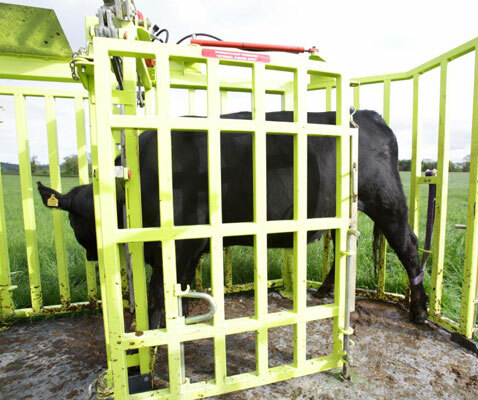 Strong and secure gates are then controlled by remote control by the operator meaning that you can position yourself in the optimum situation to control the animal and simply shut the gate behind it without fuss. 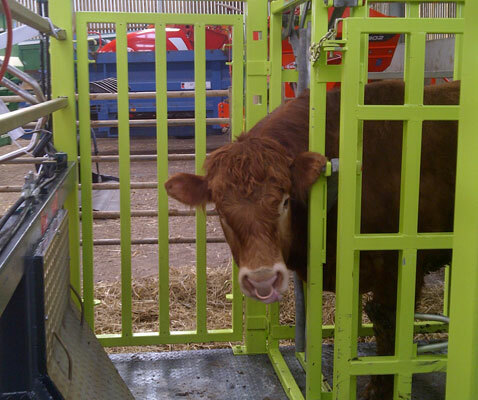 The secure head stock is also controlled hydraulically to secure an animal of any size. 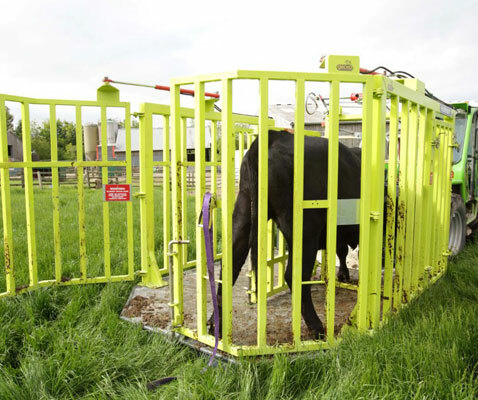 Additional leg straps provide extra security and safety to both operator and animal. 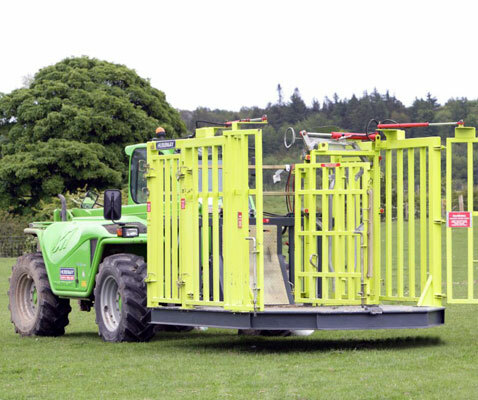 Once secured in the Gecko, the animal can be checked, worked with or transported with total safety by just one person. Powered by an inbuilt solar panel, the Gecko CC1 needs no external power sources at all, meaning it can be located exactly where it is needed in field, yard or shed. 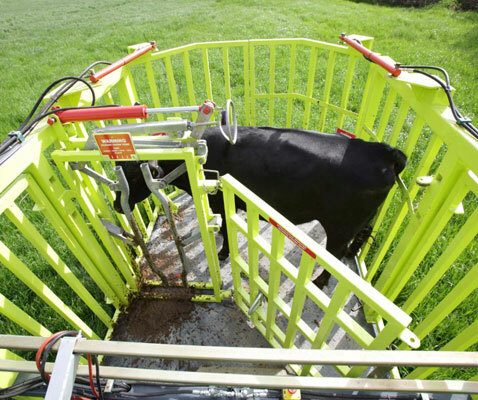 The Gecko CC1 – it’s the solution livestock farmers have been waiting for! 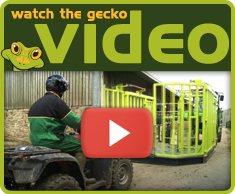 Below are just a few images of the Gecko Handling system in operation. Don't forget to take a look at our video to see it in action. Orders are now being taken for the Gecko CC1 system. Please contact us today to discuss our latest prices, delivery times and options. If you would like to visit us to see the Gecko CC1 system working in the field, please don’t hesitate to contact us to arrange a full demonstration. Please don’t hesitate to contact us to discuss your exact needs and requirements. Please use any of the below methods to send us an enquiry.